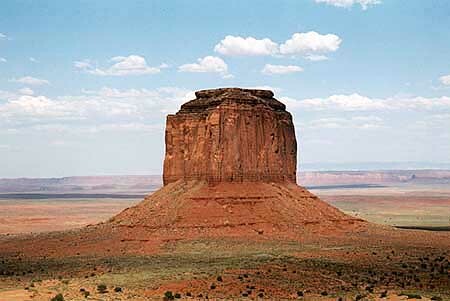 If Monument Valley looks familiar to you, it should! 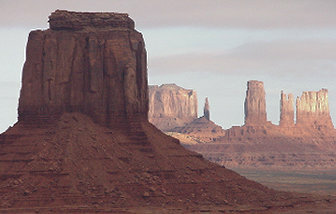 Countless movies, particularly westerns, have been shot in Monument Valley, which really isn't a valley. It's a relatively flat plain, surrounded by red cliffs, with buttes, sandstone formations and the remnants of ancient volcanoes rising from the surface. 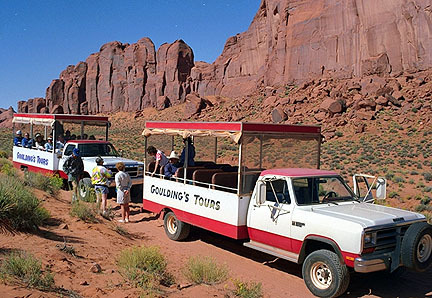 We have a large selection of Monument Valley tours. Many of our Grand Canyon tours visit Monument Valley, and as you drive there you'll start to see the familiar rock shapes from many miles away. 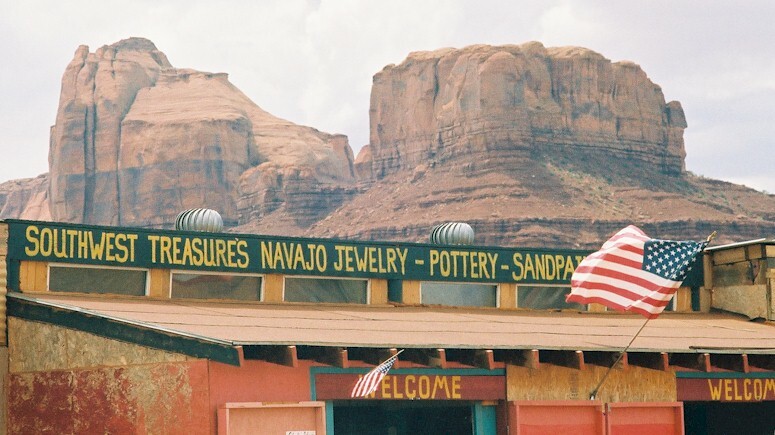 On the way into the park, which is a Navajo Tribal Park, you'll pass a line of stores on both sides of the road, where you can purchase souvenirs, and sample Navajo Tacos and fry bread. 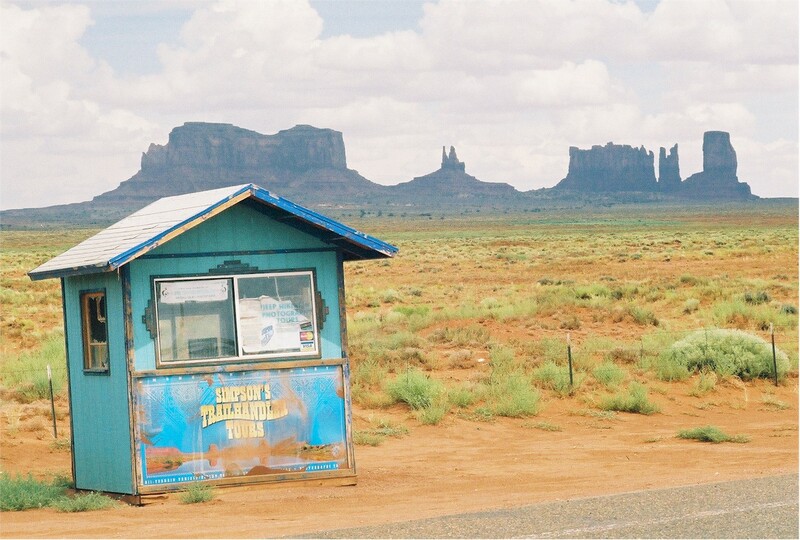 Many of the picturesque formations can be seen from the gateway to Monument Valley, but the best views are to be had from a bumpy, dirt road along which the Navajo Nation runs tours. 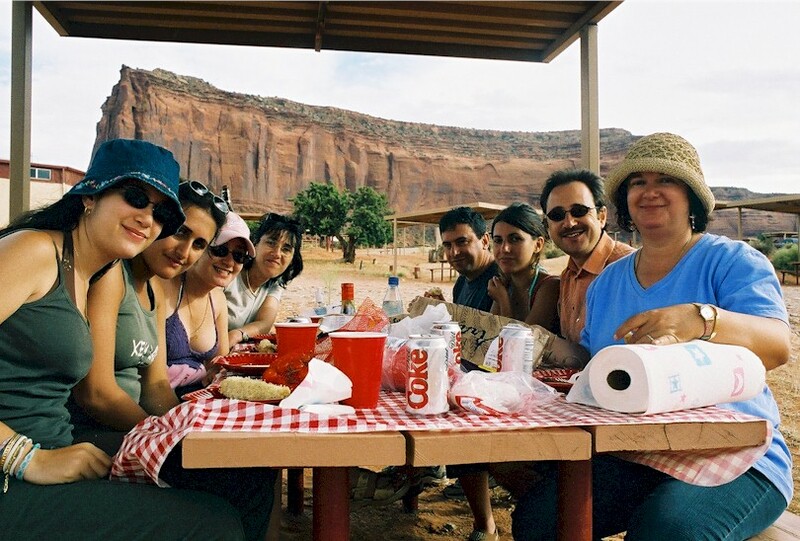 If you take one of our multi day Grand Canyon tours, which leave from Las Vegas, this unique backroad ride, conducted by a Navajo guide, is included in the tour price.